Why Can't Everynight be #TacoNight , Alright? My family loves TACOS esp homemade tacos because you can tailor what type of tortilla to final fixings anyway you want!! 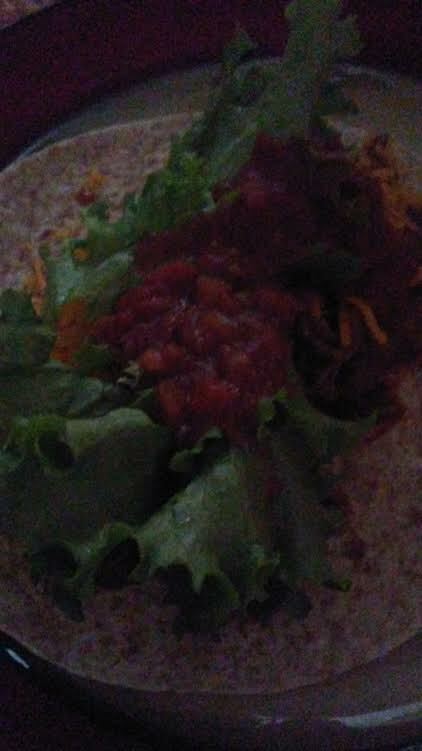 I used a whole wheat tortilla as the base then added cooked Angus ground beef, beans, green lettuce, sherred cheddar cheese, and mild salsa!! 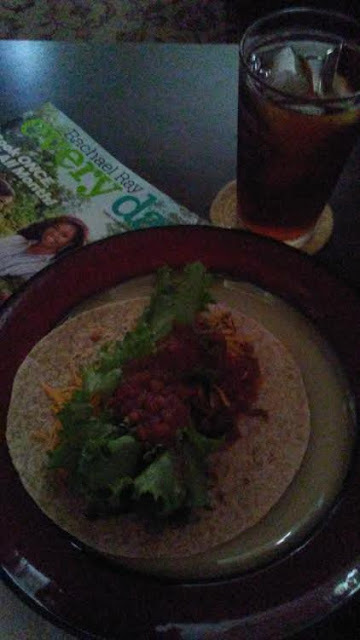 Add a tall glass of Southern Iced Tea and my favorite magazine to read and I have a delicious meal in under 30 minutes! I love knowing that I can make homemade tacos any night of the week! !